MBDA will again be at the Land Forces exhibition held at the Adelaide Convention Centre during the 4-6th September. At Land Forces 2018 we will be featuring a range of capabilities that demonstrate our ability to meet Australia’s growing defence needs. We invite you to experience first-hand the MMP 5th generation Anti-Tank guided weapon through our simulator and additionally we are proud to be introducing the Enforcer light weight battlefield engagement missile system to the Australian market. In the air defence domain we have the Mistral VSHORAD System and the Enhanced Modular Air Defence Solutions (EMADS) including the CAMM ER missile, providing short to medium range air defence. With an ability to address a variety of targets thanks to a multi-purpose tandem warhead and three engagement capabilities of Fire and Forget, Lock on Before Launch and Lock on After Launch, MMP provides versatility and supremacy on the battlefield. MMP’s architecture and technologies have been demonstrated during firings at ranges in excess of five kilometers. 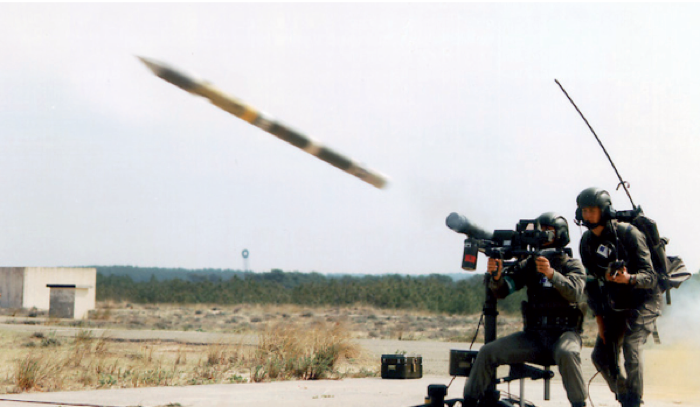 The production of the system commenced in 2016, fulfilling the contract placed by the French Army to replace it’s in service Javelin and Milan systems. The MMP programme will see the delivery of 400 firing posts and 1,950 missiles across all of the French Armed Forces by 2025. 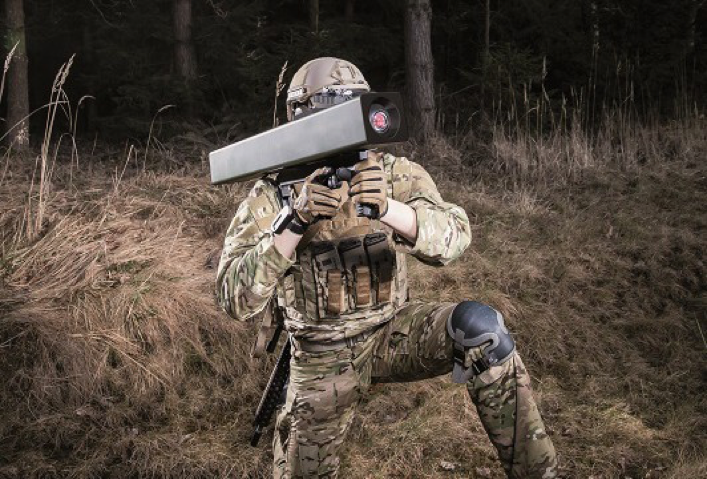 MBDA’s stand will showcase the system in its dismounted tripod format and a high fidelity simulator allowing one to experience a realistic firing sequence, demonstrating operator ease of use and the unique capabilities of MMP. For more information, click here. 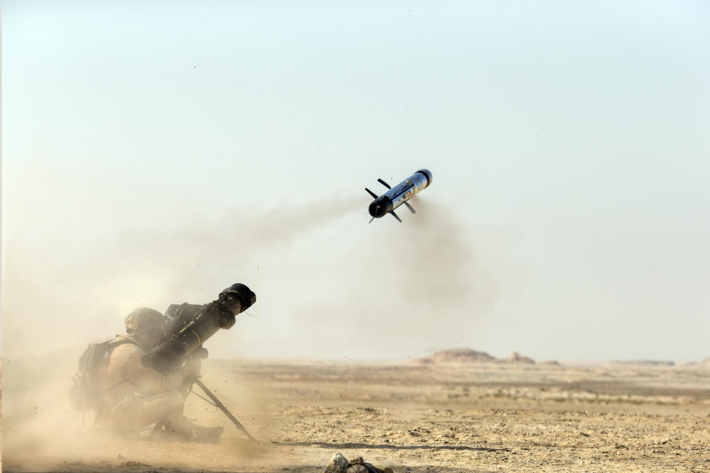 The Enforcer concept is a new lightweight, disposable shoulder-launched guided munition in the 2 km class. It enables dismounted infantry to engage lightly protected battlefield/urban targets at relevant combat ranges, with high precision and minimal exposure to the operator. Enforcer has been developed in response to the need of evolving complex military operations and scenarios, providing superior range and effect compared to heavy machine guns and automatic grenade launchers. Mistral MANPADS is a highly portable system, easily moved by one operator. Its infra-red seeker allows the missile to be fully autonomous, a significant advantage when dealing with close-in and manoeuvring threats. With an interception range reaching 6.5km and an unprecedented 97% success rate in firings, Mistral can be added into an Air Defence solution, either ground or vehicle mounted. For more information, click here. MBDA’s Ground Based Air and Missile Defence Solution EMADS will be presented at the exhibition together with the CAMM-ER Missile. EMADS is highly flexible and designed to defeat a rapidly evolving range of airborne threats,with interoperability and scalability as major features, providing the user with a wide range of options when selecting C4I, radars, launch vehicles and so on. 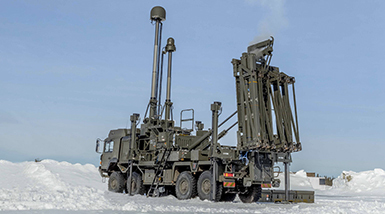 The all-weather operation and MBDA’s Soft Vertical Launch technology, which minimises the unit’s IR signature, enables 360-degree engagement and provides superior force protection in all operations. For more information, click here. MBDA Australia is pleased to confirm that it will be in Hall 3, Stand 3D14 during the course of the Land Forces exhibition.